Annabel had a perfect family, with a loving husband and two beautiful children. However, Annabel's relationship with her mother, Bea, was not that great. 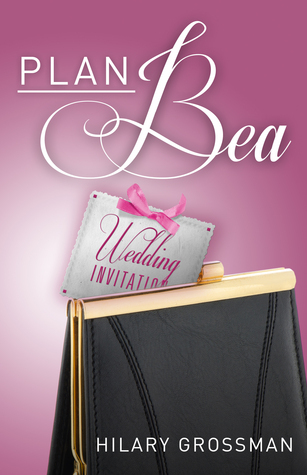 But Annabel's relationship with her mother was about to be tested again when Bea made a call and asked her to help plan her wedding. I've previously read Hilary Grossman's Dangled Carat, and I loved it! I do think that the author's writing style had changed a bit in this book, but that's probably because the first book is a memoir. Plan Bea is a heartwarming story of a mother and a daughter. It is about making mistakes, reconcile, and learning to forgive. There were secrets, lies, drama, romance and happy ending. I don't think there were any dull moment in this book. The story was not what I was expecting at first, but I thoroughly enjoyed it. It was easy to relate to Annabel and I love spending time with her family. Her daughter, Violet especially, was adorable!! Annabel had an adorable and fun family. It was interesting to read about Annabel and Bea and learning about how their relationship gets to where they were. There are a few moments that made me laugh and moments that made me sad. The ending was a bit surprising. I totally couldn't tell what was going on until the very end. I admit that I was a bit frustrated, when the ending was fast approaching, but with a new possible drama emerged. It turns out that there's going to be a continuation with new characters. Yeay! I'm definitely looking forward to read the next book. I received a copy of this book from the author/publisher in exchange for my review. thank you so much for reading and reviewing Plan Bea! I am so happy you enjoyed it!